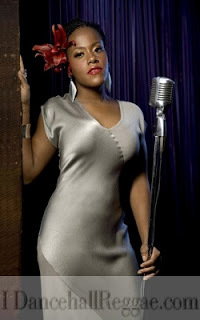 Caribbean Lifestyle Media-Previously, we announced Etana's music video competition with RETV. We recently learned that two winners were chosen-two from Kingston, Jamaica and one from St. Lucia. The two winners from Kingston received their prizes-a Macbook & Ipod delivered to their schools Mona High School and U-Tech. "It feels so rewarding that two of the competition's winners were very deserving students, I couldn't ask for a better outcome." says Etana. The video which earned the most votes was "Free" by popular Reggae music video director Jay Will. "Happy Heart" by Scorpio 21 and "August Town" by Winston Mayhew followed closely. "I am very happy to know that people are feeling the work that I put out. I think that these three videos were the best Reggae music videos on TV last year and I am humbled and privileged that my video was chosen as the winner, I compliment the other directors who made fabulous videos." stated Jay Will after he was told his video received the most votes.